Rev. 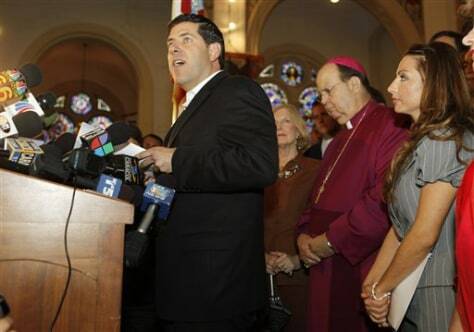 Alberto Cutie, left, reads a statement as his girlfriend Ruhama Canellis, right, looks on during a May 28 news conference at the Trinity Cathedral Church in Miami. The telegenic Miami priest left the Catholic Church amid an uproar over published photos of him kissing his girlfriend on the beach.